I recently attended a course at the local Children’s Centre on Solvent Abuse. Obviously not to learn how to do it, but to find out how to spot the signs if you suspect that your child might be partaking in this activity. Curly is of course only 8 and Baby Bean 19 mths now so I don’t suspect they are having anything to do with solvents but it COULD happen to ANY FAMILY, ANY CHILD! So my theory is better to know the signs too early than too late. What follows below are the handouts which we were given on our course. It has been thoroughly researched so please take this seriously. The deliberate inhalation of a gas or fumes given off at room temperature from substances for its intoxicating effect. This is when the heart becomes oversensitive to adrenaline and beats ineffectively. If the “sniffing” is followed by exertion or excitement, the heart can’t cope and stops. Some aerosol sprays freeze the organs, which can result in the lungs and airways producing fluids – this carries serious additional risks. There is also a risk of choking on vomit, caused when the body is trying to get rid of unwanted substances. However, if someone is unconscious after inhaling a solvent, the person’s airways are likely to become blocked, which could suffocate him or her to death. Accidents can occur when someone is “high” or hallucinating. A user may imagine that he or she can jump from great heights, or stop a speeding train. Someone inhaling alone could drown if falling into the water. Many deaths result from suffocation because the solvents are inhaled from plastic bags. There is also the risk of burns, as many of these products are highly flammable and can explode. Placing a rag soaked in the substance over the nose and mouth and inhaling. For example, a scarf worn around the neck, socks, towels, ties, toilet rolls, clothing. Hallucinations are abnormal sensory perceptions that occur whilst a person is awake and conscious. Some common hallucinations are hearing voices when no one has spoken, seeing patterns, lights, beings or objects that aren’t there, or feeling a crawling sensation on the skin. Hallucinations related to smell or taste are rare. · Changes in health, e.g. headaches, tummy aches, conjunctivitis, cough. Most aerosols and all forms of liquefied petroleum gas will carry some form of warning such as “Flammable”, “Do not puncture or incinerate”, “Do not use near fire or flame, etc”. 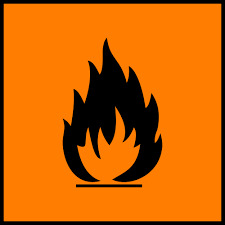 Usually, forms of liquids in metal containers or bottles all will bear highly flammable and in the UK must display a Black Flame on an Orange Background. The Intoxicating Substances Supply Act of England and Wales makes it an offence to supply any product to anyone under the age of 18. Supplying anyone if it is believed or known that the product is being used to get high the penalty is a £5,000 fine and six months in prison. · Frank Re-solv National Freephone Helpline – 0808 800 2345 0808 800 2345 and website. Not so much “down the hatch” as “through it” . . .